WASHINGTON DC'S Keegan Theatre returns to Galway for the first time in two years, when it stages David Mamet’s darkly comic and shattering classic American Buffalo at the Town Hall Theatre. One of America’s greatest playwrights, David Mamet infused American Buffalo with his distinctive verbal style and craftsmanship, creating a theatrical tour de force. In a Chicago junk shop, three petty crooks plot to rob a man of his coin collection, the showpiece of which is a valuable ‘Buffalo nickel’ The conspirators fancy themselves as free-market entrepreneurs, but in reality, they are merely small-time hoodlums, and all of their plotting amounts to nothing in the end. American Buffalo is a triumph of language and a devastating snapshot of what human beings are capable of doing to each other when they run out of options. Keegan’s staging of American Buffalo is directed by Mark Rhea who also plays the pivotal role of Teach and he spoke with me ahead of the company’s Galway return. 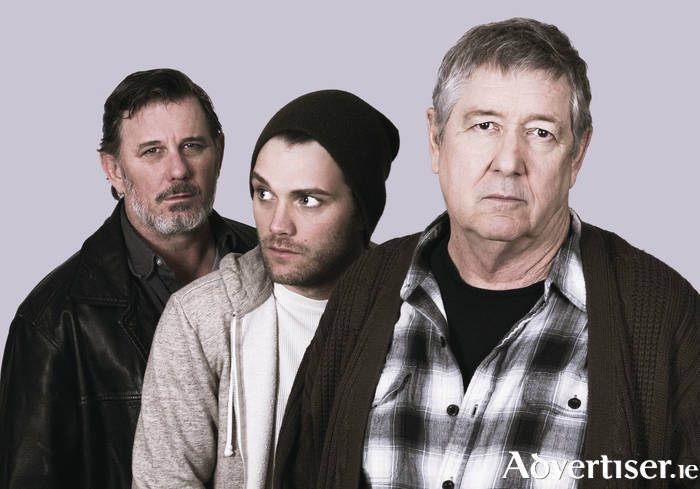 Given the company was formed in 1996, I express surprise that American Buffalo is only their second Mamet production. Was there any particular reason for this dearth? “No reason at all, other than realities of obtaining royalties and the schedules of other theatres in Washington,” Rhea replies. “We love Mamet, and produced Glengarry Glen Ross twice. Season planning always involves a myriad of factors, including what other theatres in Washington are producing in a given year - a few years back we were looking at Boston Marriage for example, but then learned another theatre had already slotted it for their season. Rhea candidly admits that learning Mamet’s lines for this play has been the hardest such challenge he has ever faced as an actor. “Mamet's writing style, how he attacks and crafts dialogue and speech patterns, is unparalleled in terms of capturing the natural rhythms of speech," he says. "The way we sputter and stutter in natural conversation, overlapping each other and moving from an unfinished thought to the next one. He particularly gets how people talk when they're frantic, desperate, angry...that kind of fractured way the brain works and sometimes the words tumble or gush out, sometimes in a sort of kaleidoscope of language. It's hard to explain, but you'll understand when you listen to this show! "This is the root of so much of the genius of American Buffalo, but it also makes it extremely hard to memorise. Saying that, once you get the words down, I find that speaking Mamet's dialogue is actually quite a natural release - his words and speech patterns fit so perfectly with what my natural instincts are as an actor for this character, if that makes sense. Mamet can be challenging because he doesn't connect the dots for you - his characters talk as people would talk who've known each other a long time, so they don't lay out exposition for an audience. You have to pay attention, and listen. For an actor, that means that we have to do that work in the rehearsal room: connecting the dots between the relationships of these men, and putting together what has transpired in this pawn shop before the play starts." The play revolves around the scheme hatched by junkshop owner Donny (Kevin Adams ) , his young assistant Bob (Josh Adams ), and Donny’s assertive buddy Teach, to execute a robbery. I suggest to Rhea that Teach’s amoral championing of the dog-eat-dog values of ‘business’ (one of his favourite words ) carries strong echoes of Donald Trump and his cohorts? Page generated in 0.0942 seconds.